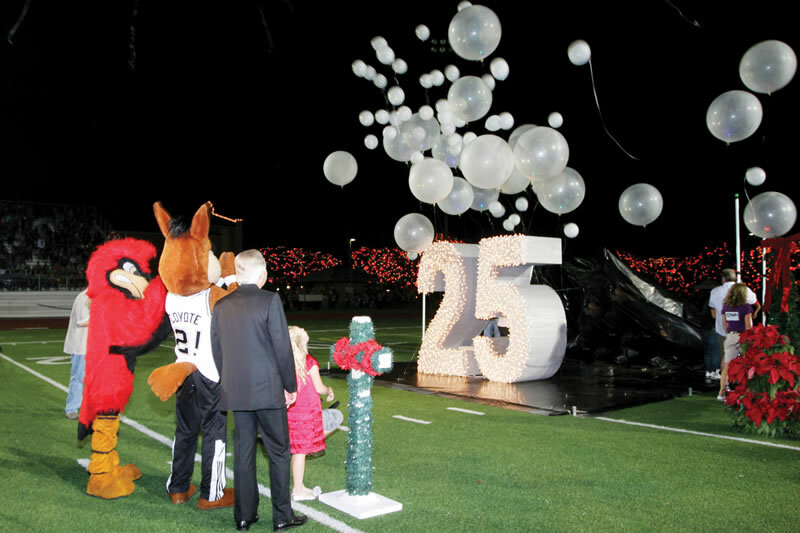 UIW President Dr. Louis J. Agnese Jr., along with the Spurs Coyote and UIW's Red the Cardinal, flip the switch at the 25th annual Light the Way event hosted by UIW and H-E-B. 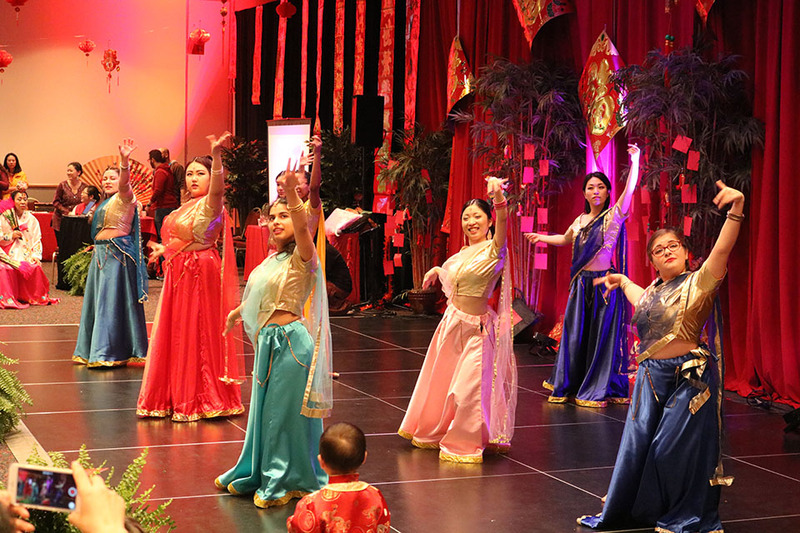 The University of the Incarnate Word hosted nearly 7,000 guests at the 25th anniversary celebration of Light the Way on Saturday, Nov. 19 at the Gayle and Tom Benson Stadium. An evening of surprises and special guests decorated the event. 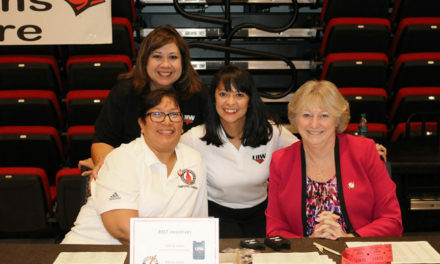 A highlight of the evening included the surprise announcement of a $25,000 scholarship, by H-E-B Public Affairs Director Dya Campos, to be given to UIW students honoring the event’s 25th year. The Spurs Coyote, Santa Claus, and UIW alumnus Ricardo Chavira, of ABC’s Desperate Housewives, all made appearances. KSAT’s Ursula Pari and Steve Spriester emceed the event. The audience also enjoyed special holiday performances by UIW’s Chorale and Cardinal Marching Band and choirs from Incarnate Word High School, St. Anthony Catholic School and St. Peter Prince of the Apostles Catholic School. 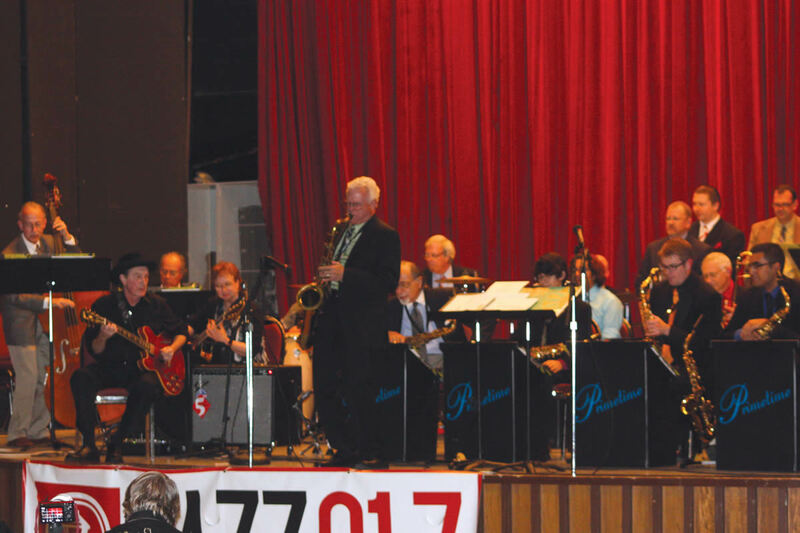 The St. Anthony Catholic High School Jazz Band also entertained the crowd. Tejano music legend Patsy Torres headlined the event with a performance featuring UIW students Jacob Smith and Italie Chavez. UIW President Dr. Louis J. Agnese Jr. officially kicked off the holiday season by flipping the switch illuminating the campus with a million twinkling lights and sending snow flurries throughout Benson Stadium. After the official switch was flipped, mariachis led guests on a candlelight procession through campus to UIW’s Brackenridge Villa for a complimentary reception hosted by H-E-B. Light the Way began twenty-five years ago when Dr. Agnese shared his vision to unite the community in the spirit of the holiday season.